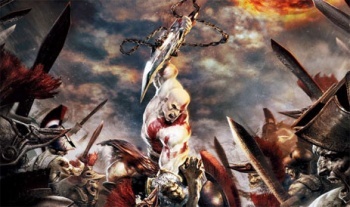 Kratos could be sharpening his blades for the release of God of War IV in late 2012. Despite the story of Kratos seemingly having been done to death, or as dead as a god can get, Sony may already be preparing the character for another PlayStation 3 entry. An anonymous source has made it known that God of War IV is planned for release in September 2012. The latest issue of unofficial PlayStation magazine PSM3 writes that the source "works closely" with the God of War universe. He said, plainly: "God of War IV is coming, and will hit in September 2012." He apparently also indicated that another God of War-related project is in the works, which by my best guess would probably be an NGP title. If true, you've got to wonder where Sony will take Kratos for God of War IV. We've explored his past and present though two PlayStation 2 titles, two PSP titles, and God of War III supposedly concluded Kratos' journey for revenge against the gods on the PlayStation 3 in March 2010. There's no way Sony would give up on a franchise like God of War, but swapping in a new character and a new storyline could be a risky move. More likely than not, Sony will find a new group of foes for Kratos to slice with his blades while spinning around in the air, or at least make him a key figure when God of War IV eventually does make it to a console.